Cserszegi Füszeres requires a lot of explanation. There’s one bottle and one bottle only that I’ve ever seen with this grape (yes, this is a grape, not a Polish hot dish). Might be the only bottle in the USA also as the importer shows up as hit #3 when you google the grape name. So, first things first – pronunciation. Cserszegi Füszeres is “chair-say-ghy, foo-seh-resh.” Chair, say, ghy – foo, seh, resh. Even saying it out loud is on the difficult side. Personally, I picture a sage Ali G sitting on a chair saying “foo, seh, resh.” It’s the only way to remember this grape. Difficult, foo-seh-resh. Then, where does this impossible to pronounce Ali G arrive from? Hungary, land of famed dessert wines and unknown white wines. This is one of those unknown white wines, much harder to remember than Furmint, that’s for sure. Chair, Ali G – Foo seh resh. Hungary, though not a large country (it’s slightly smaller than Indiana), does have several wine regions. But then, the same can be said for Indiana. Hungary though boasts 22 wine regions dotted across its Indiana-shaped hide. One of those 22 regions even produces the most-awesomely-named wine: “Bull’s Blood.” If you ever find yourself in the Eger region of Hungary, ask for Bull’s Blood. Please report back. 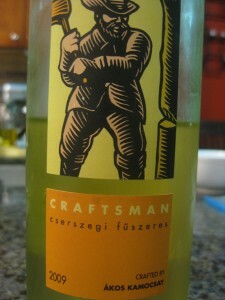 Today’s wine comes from Neszmely, better known as the region on the edge of Hungary that’s almost in Slovakia. Not Slovenia – that’s the other side. Slovakia, featured in Eurotrip as the country of post-Communist gloom and splendor. Next to Slovakia, one finds Neszmely, an hour’s drive north of Budapest that’s open for Hungarian wine tourism. Full, round nose of peaches – smells like a big bodied white but *trickery* it tastes really acidic with grapefruit and lemon coming out swinging an enormous bat. Disjointed as it sounds, it’s great for that bait-and-switch shock that your wino-friend never expected. Well played, Cserszegi Füszeres, well played. Personally, not my favorite white. I don’t like being tricked and this one sucker-punched me. Sure, I’ll go back for seconds and see if it’s just this bottle and not the grape. Might get punched again – we’ll see. * Cserszegi Füszeres has Gewurtz as a parent – hence, the big Cyrano nose. 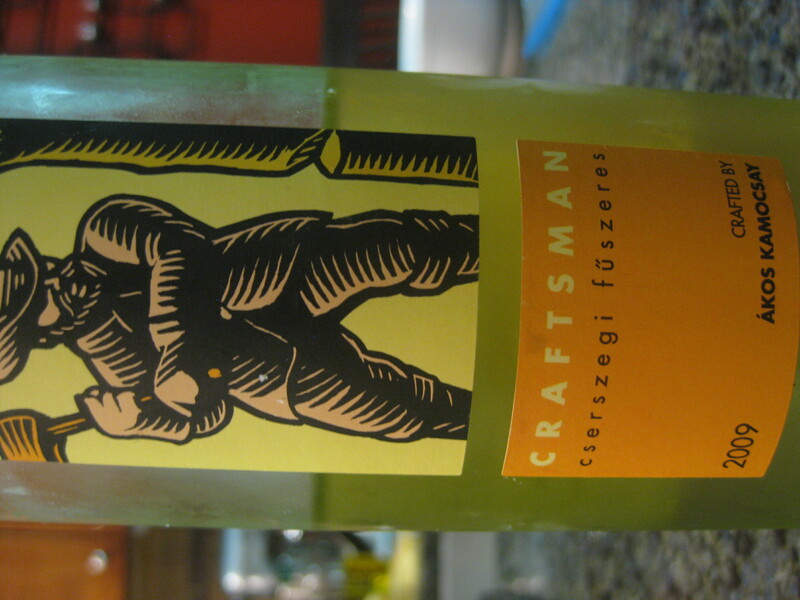 * Cserszegi Füszeres received the award for “White Wine of the Year“… in Britain… in 1998. * Listen to the legend of Bull’s Blood – invading marauders and children be afraid.